15cm Orthopedic cast padding (6 Rolls/bag) Polyester Cast Padding. Features needle-loomed rolls that are easy to tear and stay plush under the cast. Padding for fibreglass casts, plaster casts, and other wound bandaging. 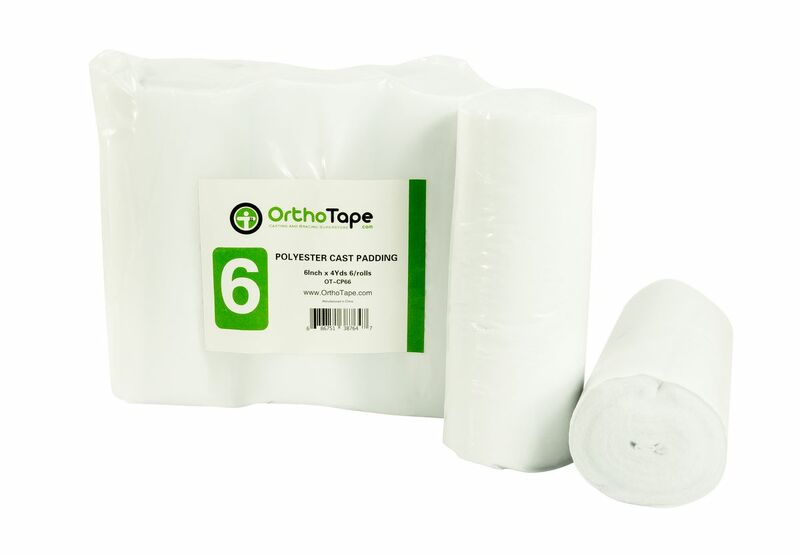 Padding for fibreglass casts, plaster casts, and other wound bandaging.